Are you planning to make a visit to Gujarat? Read this article and learn more about best travel destinations in Gujarat. So, you are planning to visit the NAMO-LAND..!! Well, one thing is guaranteed, you will be enchanted with the brilliance and colors and vibrancy of the place. The tourism commercial for Gujarat has the theme line "Kuch din to Guzaro Gujarat mean" will be more befitting once you have completed your visit and we promise that you will be left yearning for spending some more time in the beautiful land of the Marwaris. So, let's just find out what are the best places to visit while you are in or near or traveling to Gujarat. 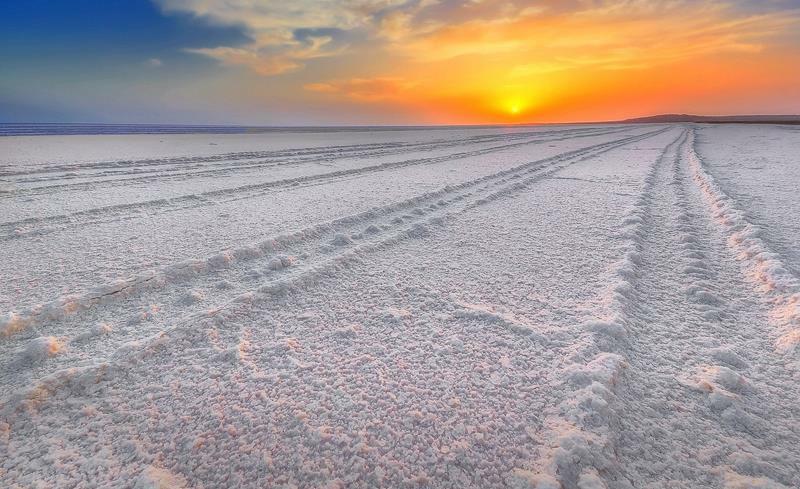 Undoubtedly, the very first and a must visit place while touring Gujarat is the Great Rann of Kutch and the visit will be all the more special if it is done during the Great Festival of the Rann of Kutch which is famous by the name of Kutch Rann Utsav. The great white desert of salt offers serene sunrise and sunset and gives another worldly feeling while standing in the huge white place with almost no sense of civilization. Being an admirer myself, I can never write enough of the great white desert. Apart from the Rann, there are some other places which can be explored in the Kutch. You can enjoy a night stay in the white desert and the moonlit night will be the last travel experience you will ever forget. Other areas to be explored are Bhuj, Mandvi (elephant ride to Vijay Vilas Palace), Dholavira (recent excavation aging more than 5000 years), Kala Dungar (jackal feeding in the temple), Naktarana (Fossil Park), Handicrafts villages (complete villages are dedicated to handicrafts manufacturing). If you are an admirer of the temples and architecture, these three places must be on your itinerary. Somnath needs no introduction as the place used to have the richest temple which was looted by Mahmud of Ghazni. 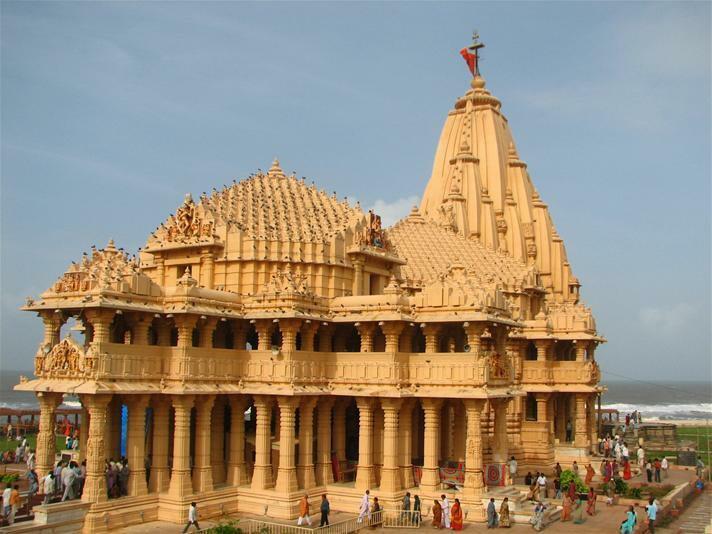 The temple still exists and is quite famous as Somnath Mahadev Temple. Other places in Somnath are Bhalka Tirth, Gita Mandir, Lakshminarayan Temple, Panch Pandav Gufa, and Triveni Sangam. Junagadh is famous for Temples, historical places, museums, wildlife spotting, and zoos. Some of the must visit places are Gir National Park and Wildlife Sanctuary, Girnar, Mahabat Maqbara, Sakkabaug Zoo, Jain Derasar, Uparkot Fort, Darbar Hall Museum, Kamleshwar Dam, Ashok Shilalekh, Madhavpur Beach, Wellington Dam, Dataar Hills and Adi-Kadi Vav. Bhavnagar houses some of the ancient temples and other architectural monuments. Some of the notable places are Takhteshwar Temple, Khodiyar Mandir, Blackbuck National Park, Victoria Park, Aksharwadi Temple, Ghogha Beach, Piram Bet island, Gandhi Smriti Memorial, Barton Library, Barton Museum, Kuda Beach and Kumar Pal Temple. Porbandar and Gandhinagar have a special bond with Bapu and are famous tourist spots. 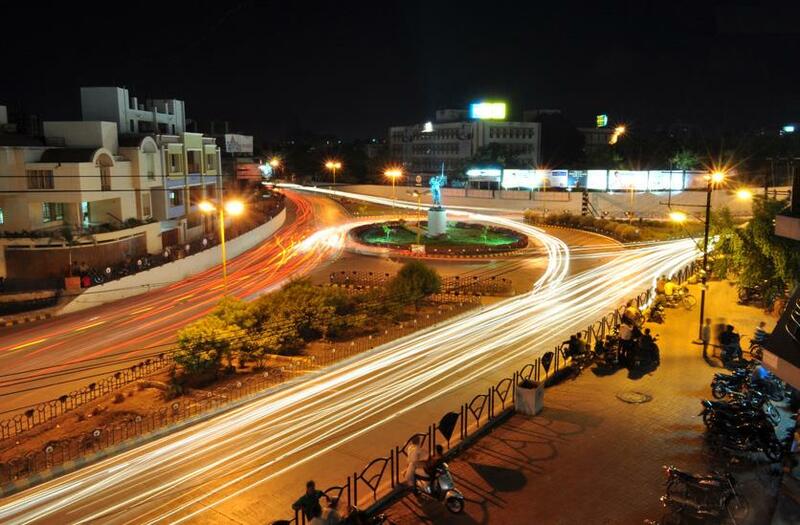 Both Gandhinagar and Anand are famous for shopping and are full of life and colors. The Gujarati prints, handicrafts, colorful cotton apparels and typical Gujarati cuisine are the trademarks of these places. Places to visit in Porbandar are Porbandar Beach, Sri Hari Mandir Temple, Chowpatty Beach, Krishna Sudama Temple, Ghumli, Huzoor Palace and lot more. Gandhinagar will offer the following places of interest – Adalaj Trimandir, Indroda National Park, Alloa Hills and Resorts and Golf Course, Sarita Ryan, Dandi Kutir and fun world. All these places are the heart of Marwari culture and offer the best of the shopping, cuisine, lifestyles and culture of the ethnic Gujarat. Ahmedabad has a textile museum, Gandhi Ashram, Akshardham temple, Kankaria Lake, Adalaj Step Well, Auto World Vintage Car Museum, Hathi Singh Jain Temple, Jama Masjid, Dada Hari ni Vav, Bhadra Fort and Teen Darwaza, Gujarat Science City, Utensils Museum, Amdavad ni Gufa and Shaking Minarets. 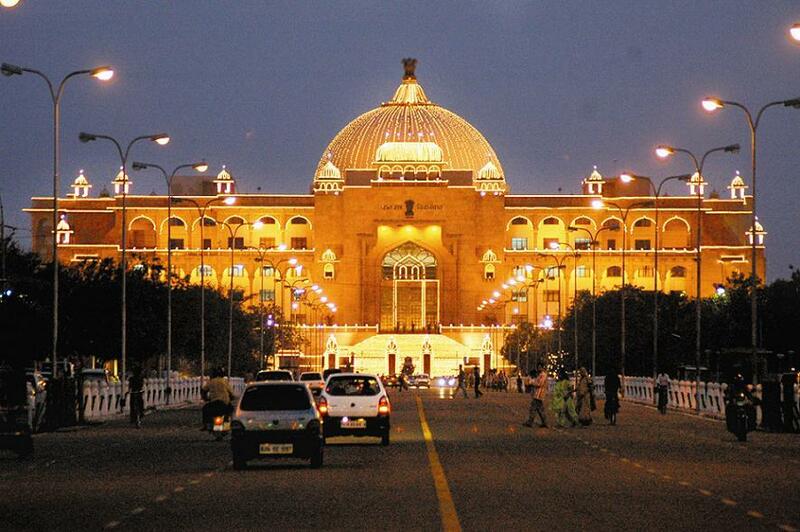 Vadodara has Sayaji Baug, EME Temple, Baroda Museum and Picture Gallery and Laxmi Vilas Palace. Surat (the saree land) has Dumas Beach, Science Center, Jagdishchandra Bose Aquarium, Kavi Narmad Library, Ubharat Beach, Gopi Talav, Sarthana National Park, Tapi River Front, Suvali beach, Dutch Cemetery, Sneh Rashmi Botanical Garden and Rang Upvan. This place is a complete package for all the tourists with paragliding, forests, honeymoon tourism, museums, waterfalls and lots of other exciting places. Saputara lake, Gira Waterfalls, Tribal Museum, Sunset Point, Townview Point, Sunrise Point, Step Garden, Lake Garden, Waghai Botanical Garden, Hatgarh Fort, Rose Garden, Forest Nursery, Gondola Cruises and Pandava Gufa. While in Bhuj, you can visit White Desert (part of Rann of Kutch), Dattatreya Temple, Matanamadh, Kutch Museum, Prag Mahal Palace, Aina Mahal, Kranti Tirth, Naryan Sarovar, Chattardi, Bhujia Hill, hamirsar Lake, Hill garden and Kutch Fossil Park. While in Rajkot, the must visit places are Rotary Dolls Museum, Sri Ramakrishna Ashram, Funworld Rajkot, Race Course grounds, Kaba Gandhi No Delo, Aji Dam Garden, Khambhalida Buddhist Caves, Lal Pari Lake, Rampara Wildlife Sanctuary and Water Valley Resort. These are the most important parts of Gujarat from the historical and archaeological point of view. 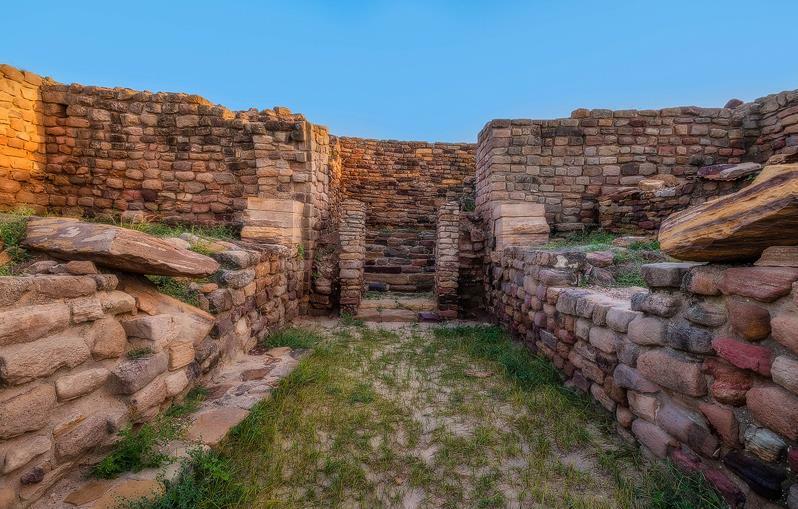 Dating back to the days of the Indus Valley Civilization, Lothal was the most modern city of the ancient civilization. The excavations are stunning and roaming the streets of the most ancient city in the world will lead you to the days of our ancestors. Dholavira is a recent excavation in the Kutch region which is a must visit place. It also dates to the days of Indus Valley Civilization. Bharuch, Valsad, Mehsana, Ambaji, Veraval, Palitana, Morbi, Ankleshwar, Rajpipla and lots more. Gujarat is a state which imbibes culture, history and places of tourist interest in every nook and corner. Any number of days spent exploring will make you say back the words we started with – Kuch din to Guzaro Gujarat Mein. These places in Gujarat explained in the article seems to be really fantastic. Any travel loving person would definitely like visiting these places.